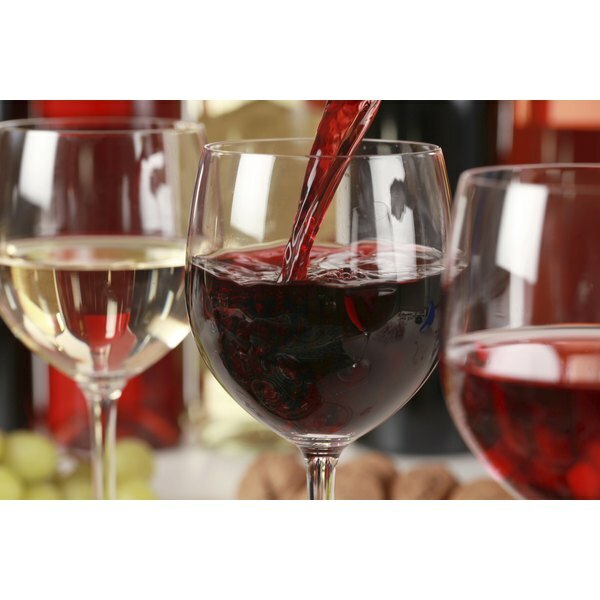 An occasional glass of wine, particularly red wine, can benefit your health. Drinking wine may help prolong your life by reducing your risk of heart disease, stroke and type 2 diabetes. Other possible benefits of wine consumption include a reduced risk of cataracts and less decline in brain function. People looking to add wine to their daily diet should be aware of the calories that wine contains. A glass of wine can contain between 110 and 300 calories, depending on the type of wine, its alcohol content and the serving size. The number of calories in 4 ounces of wine, based on style, varies from 80 calories for white zinfandel to 185 calories for ruby port. This equates to 160 to 330 calories per cup. This data is generic for wine based on styles, however, and different wines may vary in their caloric content, depending on the sweetness and alcohol content.